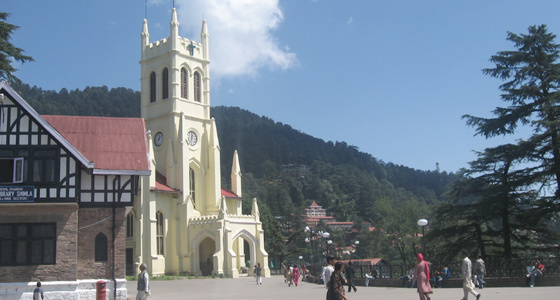 In the yesteryears, Shimla was acknowledged as the Summer Capital of British India. Even today it is among the best destinations to beat the heat. At Tour My India we offer you the most feasible travel package for Shimla visit. 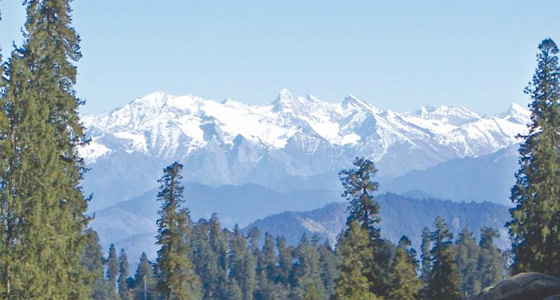 From the cityscape at Mall Road, to the panorama at the Ridge; from a visit to the famous Jakhu Temple, to a tour of Kufri's splendid and snow drenched landscape, our Shimla Weekend Package takes you to every nook and corner of the place. Within a short span of two nights and three days, this travel package provides you a 360 degree tour of Shimla. Morning drive from Chandigarh to Shimla, on arrival check-in at hotel. Rest of the day free for leisure time and visit mall road and shopping. Dinner and overnight stay at hotel. The town Shimla built in the nineteenth century when the Gurkha Wars came to an end. In 1864 the Viceroy, John Lawrence anointed Shimla, as the summer capital of British India. With Lawrence came the Viceroy Council, the Imperial Secretariat, representatives of the Indian princes and foreign envoys. As the town grew to become the workshop of the Empire, an reverential visitor observed, every pigeonhole cradled an embryo of a war or death. Despite the fact that up to the time of Indian independence in 1947, Shimla officially remained only the summer capital, yet the Government spent more time in these hills. Morning proceed for the sightseeing of Shimla covering Kalbadevi Temple, Jakhu Temple, Hanuman Temple or stop for a while at the beautiful stained-glass-windows of Christ Church, which was built in the 1850 's. Afternoon excursion to Kufri from Shimla, an exotica of nature as a place surrounded by dense forest and snow capped mountains amidst virgin peaks and natures flora and fauna where one can completely relax and tune oneself for natural beauty, Evening free to enjoy the scenic beauty of Kufri. Fagu, Indira Gandhi Holiday Home and enjoy horse riding in the apple orchids. Return to the Hotel Rest of the day is free to explore various scenic sights or visit mall road and shopping. Dinner and overnight stay at Shimla. There are variety of attraction in Shimla as The Mall Road Shimla, Shimla Ridge, Located in the heart of Shimla is the famous tourist attraction known as The Ridge, Annandale is a lovely picnic spot, Glenn is also famous picnic spot, Prospect Hill is a great place to visit and unwind in the natural surroundings, State Museum & Library, Summer Hill is famous for its university of Himachal Pradesh that is located here. It is said that Mahatma Gandhi used to come to stay here during his visit to Shimla. The Viceregal Lodge is located at the top of Observatory Hills and was constructed by the British.